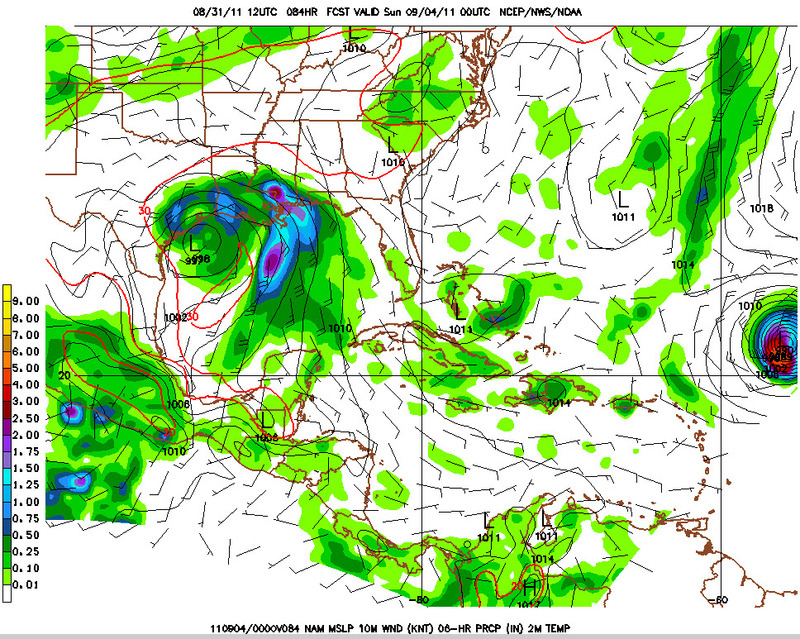 Weekend forecast looks nice in the Mid-South, but not in the northeast U.S! The blog has been quiet of late, owing to many things going on behind the scenes, as well as other obligations that have prevented me from writing. One of the big things going on behind the scenes is the imminent release of our newest service for smartphone users - StormWatch+. I am very excited about this new service, which will revolutionize the way you receive severe weather information! If you haven't already downloaded the apps, I encourage you to do so so that you will be ready for the upgrades when they are released. The iPhone update should be ready next week and then we'll get to work on porting it to Android. You can download the apps by searching for "MemphisWeather.net" in the App Store, iTunes, or Android Market or by clicking on the links on MemphisWeather.net. So, back to the weather at hand... A cold front is passing through the region today with little fanfare. However, we will begin to see a marked difference in one thing with this front - the humidity! By tomorrow afternoon, even though temperatures will still be near 90, the humidity will bottom out near 40%, which will make it feel much more comfortable. The lower humidity values will also allow overnight temperatures to drop down into the 60s for the next few nights everywhere except perhaps on the concrete of the big city. Pleasantly warm high pressure that takes hold behind the front will hang on through the weekend and right into next weekend thanks to Hurricane Irene moving up the East Coast and keeping weather systems over our part of the country at bay for a few days. That's it for today. Thanks for reading and enjoy the great weather this weekend! 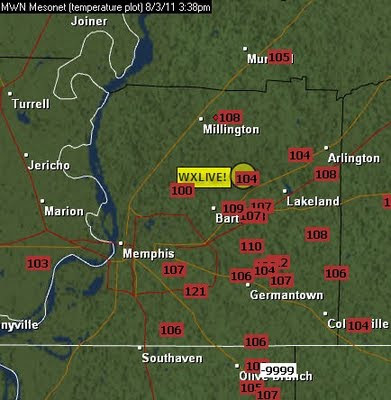 On August 14, MemphisWeather.net re-branded and expanded it's severe weather alerting services under the name "StormWatch." 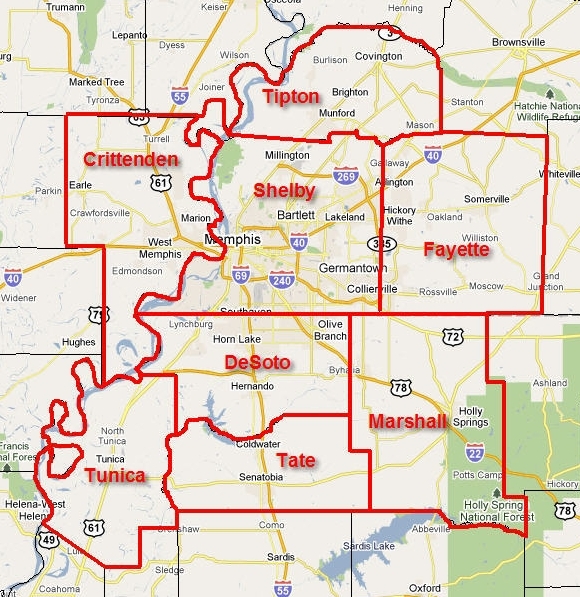 Previously, visitors could sign up for e-mail weather alerts for seven Memphis-area counties (Shelby, Fayette, and Tipton in TN; Crittenden, AR; and DeSoto, Marshall, and Tunica in MS), as well as receive severe weather alerts on Twitter for Shelby County only (@shelbyalerts). 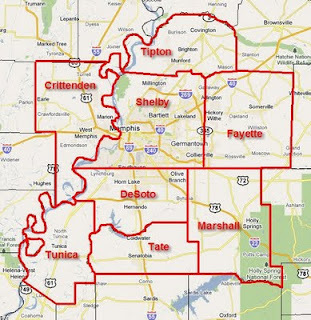 With the official release of StormWatch, one additional county has been added to the coverage area ( Tate County, MS) with e-mail alerts available, and Twitter feeds have been set up for all eight metro counties - @fayettealerts, @tiptonalerts, @desotoalerts, @marshallalerts, @tunicaalerts, @tatealerts, and @crittendenalert (no trailing 's'), in addition to @shelbyalerts. This expansion now allows any of the over 1.25 million residents of the Memphis metro area to receive e-mail or Twitter alerts when severe weather arrives. See map below of the StormWatch coverage area. 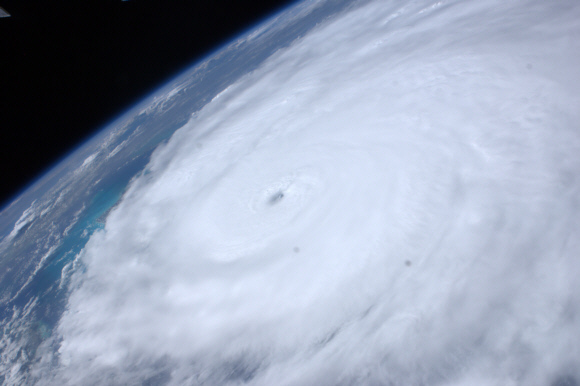 StormWatch+ is a unique service that sends alerts to smartphone users whenever severe weather threatens their specific location. Combining storm-based warnings issued by the National Weather Service (referred to as polygons) and a user’s precise location, alerts are sent only if the location registered is directly threatened, not if the storm is 20 miles away or on the other side of the county. 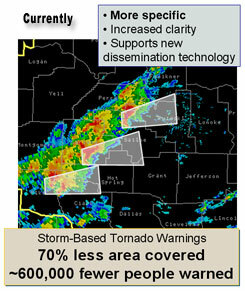 In 2007, the National Weather Service began issuing Tornado, Severe Thunderstorm, and Flash Flood Warnings as storm-based warning polygons (see images below), alerting only the areas in the path of the storm rather than entire counties. However, for various reasons, and in almost all cases, outdoor warning sirens still sound over the entire county even if the storm is only tracking only a small portion of that county. This overwarns the public and increases the perceived false alarm rate, thereby reducing the siren's effectiveness. It creates a "Boy Who Cried Wolf" scenario. StormWatch+ keeps residents from becoming siren-weary by only warning those directly in the path of the storm. If sirens are going off, but the StormWatch+ user did not receive an alert for their location, that person is likely not in harm's way. 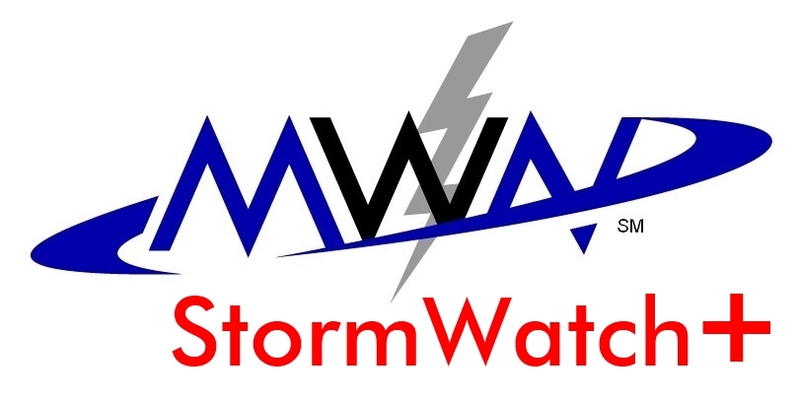 StormWatch+ will be released as an in-app purchasable upgrade for those with the MWN app for iPhone by the end of the month! 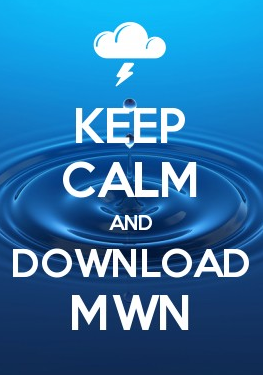 The technology will then be added to the MWN Android app (likely in September). For less than the cost of a combo meal at your favorite fast food restaurant, you can have peace of mind for an entire year! 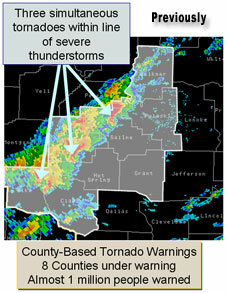 For more information on StormWatch and StormWatch+, visit the MWN StormWatch web page. Massive high pressure has maintained a grip on Mid-South weather for several days, bringing nearly daily chances of eclipsing the 100 degree mark. A respite on Friday was caused by thunderstorms that managed to move under the ridge thanks to a disturbance in the mid levels of the atmosphere. After nearly reaching 100 again today, another one of these disturbances is moving slowly across AR and causing scattered storms over the central part of the state. This impulse should move just south of the metro area this evening, but will bring a chance of t'storms, mainly over northwest MS and east-central AR, between 6-11pm. 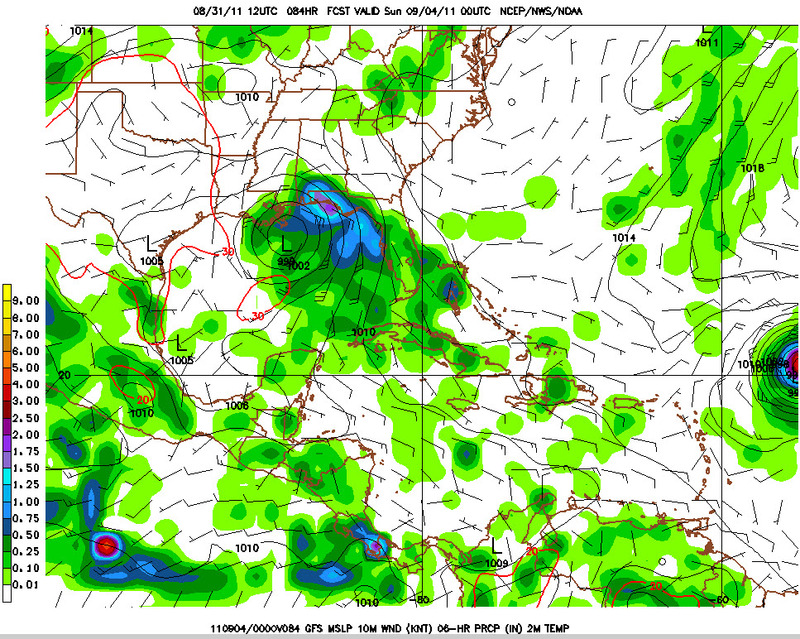 As we head into the new work week and the first week of school for many area children, the strong ridge of high pressure will begin to retrograde to the west, putting the Mid-South in a northwest flow. This means that the upper level wind will be flowing from northwest to southeast over the area. In the summertime, this pattern lends itself to the possibility of repeated rounds of thunderstorms, particularly at night or in the morning hours. These rounds of thunderstorms are hard to time more than a day or two in advance, so for now the MWN Forecast includes a daily chance of thunderstorms this week as the pattern could stick around for a while. The bad part of this pattern is that, depending on the timing of the storms, they could bring chances of damaging wind and hail. The good news, other than the rain chances, is that it will also mean reduced high temperatures. So, the end of the upper 90s to lower 100s is within sight. An Excessive Heat Warning remains in effect through Monday evening with heat indices near 110 again Monday. Excessive Heat Warnings are not anticipated for the remainder of the week after Monday. Very strong high pressure built in from the west, where temperatures have routinely been above 100 for days to even weeks. Even a fair amount of humidity (dewpoints in the low to mid 70s), which would typically be a deterrent to extreme heat, could not keep temperatures from reaching the mid 100s area-wide. In fact, the combination of heat and humidity resulted in heat indices well into the danger category, topping out between 115-120 degrees. Memphis International Airport, TN - 106 degrees. This marks a daily record (previously 103 set last year) and ties for the 4th hottest day on record. The all-time record in Memphis is 108, set July 13, 1980. NWS Office, Germantown, TN - 105 degrees. This marks a new daily record, previously 103 set last year. Cirrus Weather Solutions, Bartlett, TN - 105.1 degrees. This is the second hottest temperature recorded in Bartlett since WXLIVE was installed in 2005, trailing only August 15, 2007 (106.0 degrees). Jackson McKellar-Sipes Airport, TN - 105 degrees. This marks a daily record (previously 102 set in 1987) and ties for the 5th hottest day on record. The all-time record in Jackson is 107, set July 27, 1952. Tupelo Regional Airport, MS - 106 degrees. This marks a daily record (previously 102 set in 2006) and ties for the 8th hottest day on record. The all-time record in Tupelo is 109, set July 29, 1930. Jonesboro, AR - 107 degrees. The daily record was missed by 2 degrees. The all-time high temperature at Jonesboro is 116. Little Rock Adams Field, AR - 114 degrees. This sets both a daily record (previously 107 set last year) and a new all-time record for Little Rock. The previous all-time high was 112 set July 31, 1986. North Little Rock, AR - 111 degrees. 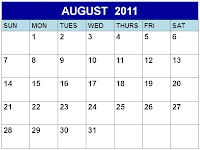 This marks a daily record (previously 104 set last year) and ties the all-time record set August 30, 2000. 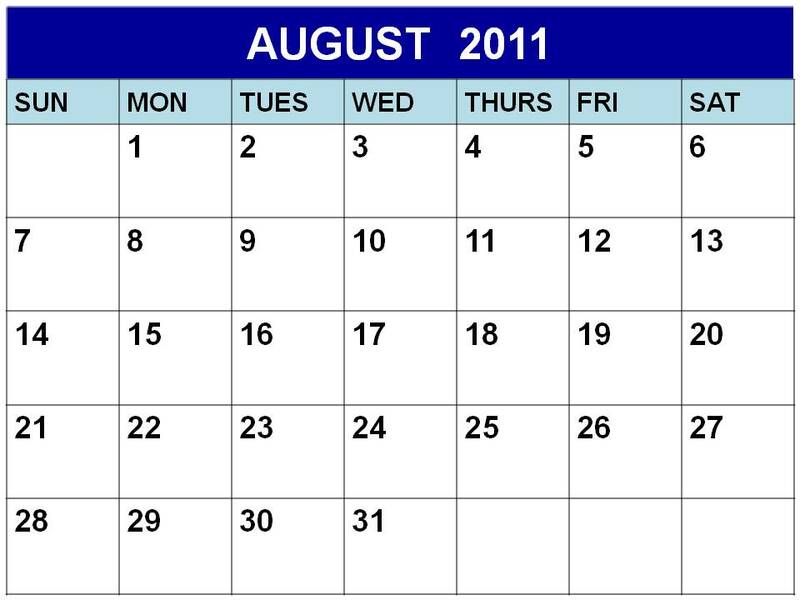 The very hot start to August is on the heels of the warmest June-July period on record. The average temperature for June-July was 84.9 degrees, which tied 1980 for the top spot. The MWN Forecast calls for a slight reduction in the heat, but more humidity Thursday and Friday as a cold front moves into the region but stops short of passing all the way through. Moisture typically "pools" ahead of these summer front, thereby increasing humidity and making it feel worse. Expect heat indices of 115 again on Thursday and about 110 on Friday. Excessive Heat Warnings continue through Friday morning and could be extended into the weekend. Please exercise extreme caution in the oppressive heat and follow the safety tips we have published on this blog.